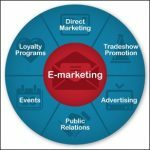 Refers to advertising and marketing efforts that use the Web and email to drive direct sales via electronic commerce, in addition to sales leads from websites or emails. This should be core to any modern marketing plan! If your social media elements are already setup we can takeover, manage and maintain, if not we can create and implement. Thereafter we communicate on a weekly/monthly basis with our clients to understand what they would like us to communicate for the said period, we ensure these details are communicated through the social media platforms in a current topical manner whilst ensure it is aligned with our client strategic goals. The Start-up Development Package (Excellent Rates) – Includes domain registration, hosting, website develop, logo design, business cards, Facebook and Twitter setup. No one can be everything to their business, allow us to manage your marketing!